| FEATURE ARTICLES | A place where books are lined up. Books go on journeys. They deeply affect our lives. Let us think again about where books are lined up. Can a town’s bookstore become a bird? Approx. 66 million years ago, a great meteor hit the earth and wiped out many creatures, including the dinosaurs. However, dinosaurs are said to have changed into the many forms of birds which still live among man today. Birds are dinosaurs which constantly evolved by becoming smaller and specialized for flying. It’s worrisome how the number of bookstores is decreasing faster than expected. On the other hand, walking around the town, signs of changes can be seen. Are the bookstores in the town going to be wiped out like the dinosaurs, or are they in the process of changing like the birds sought the sky? 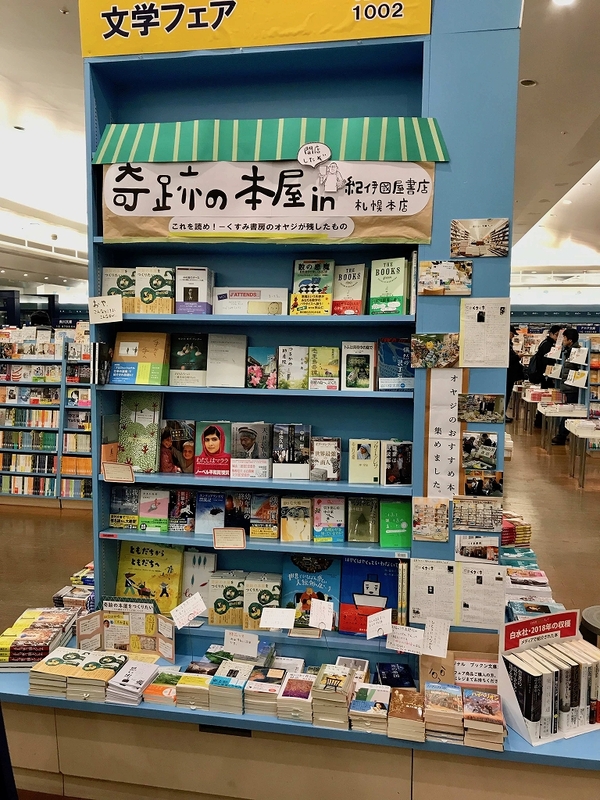 These days, bookstores in the town integrate new publications with old books and select shops that arrange books and household living items together are becoming popular, too. By inspiring both people and things, books have the power to combine various things and to create new scenes. 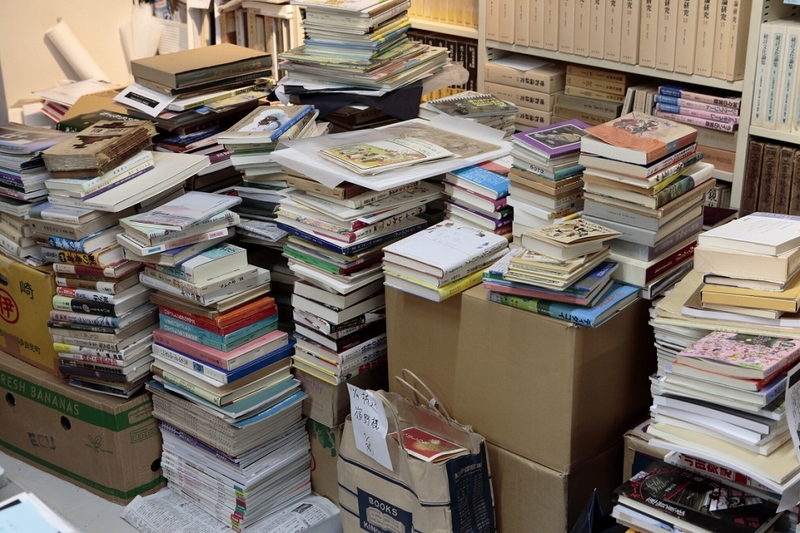 Ten years ago, Yoshinari Hideo of Shoshi Yoshinari Book Store was selling stocks in a warehouse over the Internet and still did not have his own actual store. Not long after that though, he opened his store in Sapporo’s Higashi-ku area and in February 2018, he opened a branch store in the center of the city. We visited Mr. Yoshinari at the store. He opened the store in the center of Sapporo because some acquaintances who run an art store and an antique store on the same floor asked him to create an area where adults could have fun since the floor had a vacant space. He said, “This is a good place to hold panel discussions! I want to handle new publications, too. Let’s line up all the books from my favorite and unique publishers.” Mr. Yoshinari was full of dreams and finally opened his store within a year. 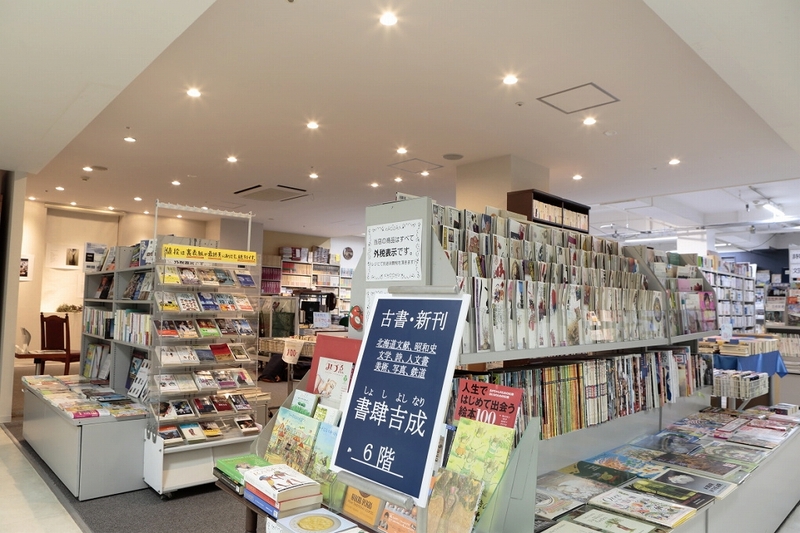 Magazine racks from Kusumi Shobo Book Store (Atsubetsu-ku, Sapporo City) which unfortunately closed in June 2015 are used in Shoshi Yoshinari Book Store. Kusumi Shobo was a “town’s bookstore” which tried hard using unique ideas and strategies such as the “Unsellable Book Fair” and “Junior High School Students Must Read This!” The store was established in Kotoni, Nishi-ku, Sapporo City in 1946. Kusumi Kuniharu succeeded his father as president in 1999. However, a major nationwide chain opened a branch in the neighborhood. In 2009, the store was relocated to Atsubetsu-ku. Although the sales and visiting customers increased after the move, the store still could not turn a profit and finally closed in June 2015. 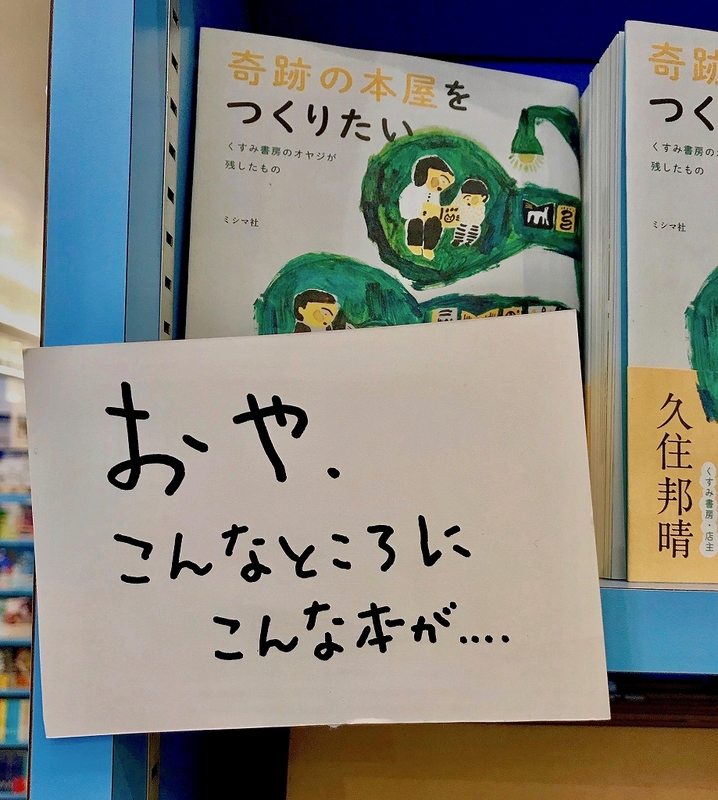 After that, Mr. Kusumi planned a business model for a small-scale bookstore, but fell ill and passed away in August 2017, at the age of 66. A project was carried out at Shoshi Yoshinari in conjunction with the book’s publication, and items from Kusumi Shobo, handwritten book manuscripts, and documentary photographs were exhibited. At the same time, two panel discussions were held, filling the venue with excitement from people as the reminisced about Mr. Kusumi. Ito Eriko of the Kinokuniya’s main book store in Sapporo attended the panel discussions and was moved to do what she could. She carried out a project entitled, “A Book Store of Miracles in Kinokuniya main book store in Sapporo,” in the corner of the store. At the same time Ms. Ito, a former employee of Kusumi Shobo, sought to reproduce the world view of Kusumi Shobo and advertise the book ‘A Book Store of Miracles’. The corner of the store was filled with the essence of the cherished Kusumi Shobo. “He believed that books were good for people and the mission of bookstores was to spread books throughout the world. He was always thinking about what books and bookstores could do for the world rather than uses them just as a business. 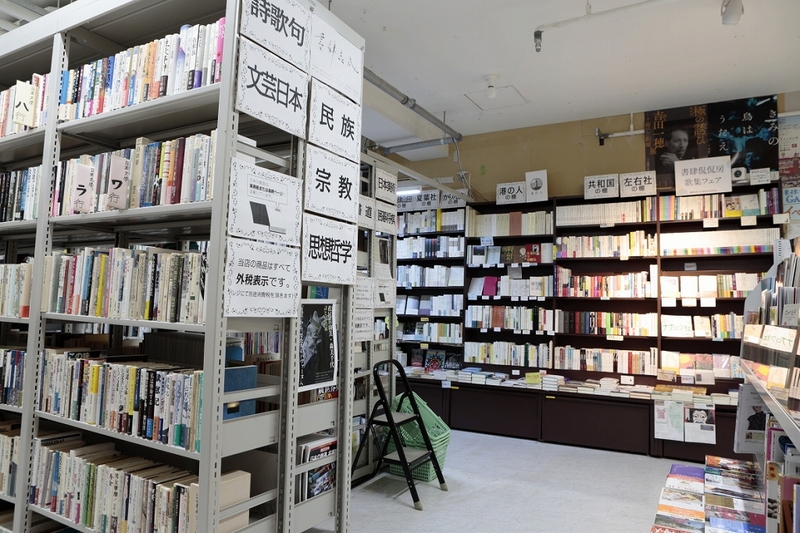 And he was worried that junior high school or high school students might grow up without knowing the world of books,” says Kusumi Erika, a professional photographer and the eldest daughter of Mr. Kusumi. There must be more to books- Mr. Kusumi might have had similar ideas. Books have the power to give abundant liveliness to many things, from one’s life to friendship and town scenes.